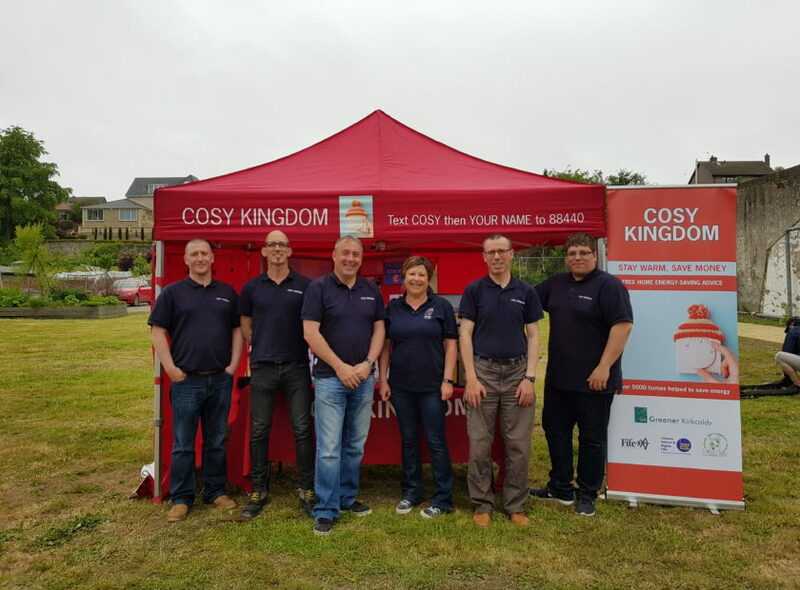 Cosy Kingdom is a free and impartial energy advice service available to all tenants and homeowners across Fife. It’s a partnership between Greener Kirkcaldy, St Andrews Environmental Network and Citizen’s Advice & Rights Fife which has already helped over 5,000 householders reduce their energy use and stay cosy. We are very keen to learn and engage with other projects throughout Fife. We would like to invite representatives of other projects, groups or organisations helping people in Fife to one of our team meetings to meet our team, explain what you do and increase our knowledge, allowing us to refer or sign post into your service where applicable. These sessions are 30 minutes long, starting at 11am on a Wednesday, every 4 weeks. See our Eventbrite page for upcoming dates and to book a timeslot. For more information, email Bruce@greenerkirkcaldy.org.uk.